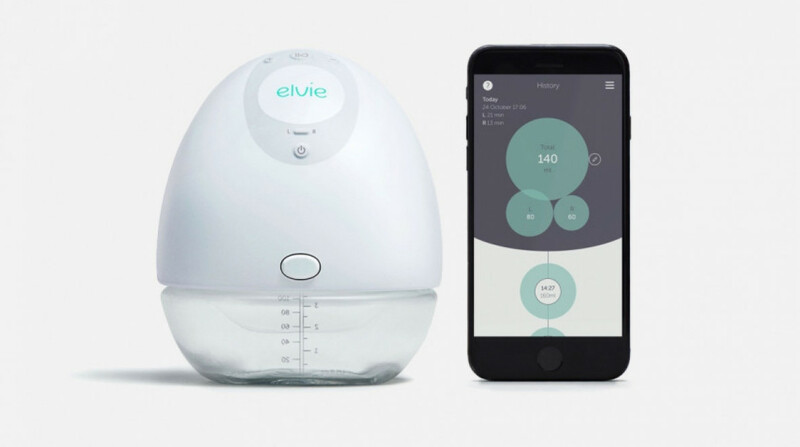 Elvie has announced a new breast pump that aims to make nursing more friendly for mothers. The Elvie Pump, which the company claims is the world's first silent pump, is controlled through the user's accompanying smartphone app, giving mothers the option to monitor milk flow and track individual sessions for each breast. The idea, Elvie says, is to help mothers use the pump from anywhere in peace, with the device's design cutting the wires and cords traditionally found tethered to pumps. Instead of plugging a device into a wall, the connected pump is able to be used hands-free from the likes of coffee shops or offices, and also able to detect when a bottle is full and automatically pause the flow. The pump also has five parts to clean, while featuring seven different intensity settings for mothers to select the right level of comfort. The Elvie Pump also comes with a breast shield in two sizes, while a third size will also be available to purchase separately. If the Elvie name rings a bell, it's because you may be familiar with the company's first device, the Elvie Trainer, launched last year. The Kegel trainer and app aims to make exercising the pelvic floor. Like Pump, the idea is it’s designed to fit tech into our busy lifestyles - not change up our routines to crowbar shiny new tech in. The Elvie Pump goes on sale from October, costing £229 for a single pump and £429 for a double. For those in the US, it appears as though only a double unit is available, retailing for $479.